Many tourists who coming to Minsk want to rent VIP apartments in Minsk. If you ask me why, here is my review why VIP Minsk apartments are so popular among all kind of tourists who would like to visit Minsk, Belarus. Apartments in Minsk with four and five stars are very great option for accommodation in Minsk. You can rent apartment in the very center of Minsk. It will have all kind of stuff inside. It will look super modern. You will get so much living space, that not even a one hotel in Minsk can provide you with the same option. Four, five rooms — this is normal for VIP Minsk apartment. If you would come to Minsk with you friends, the price of the rent will be really low for all of you. Accommodation in the luxury flat with four bedroom for example just from 30$ a night is very, very possible. What you need to keep in mind when you starting your VIP apartment search. First thing is that you may over pay large ammount of money. 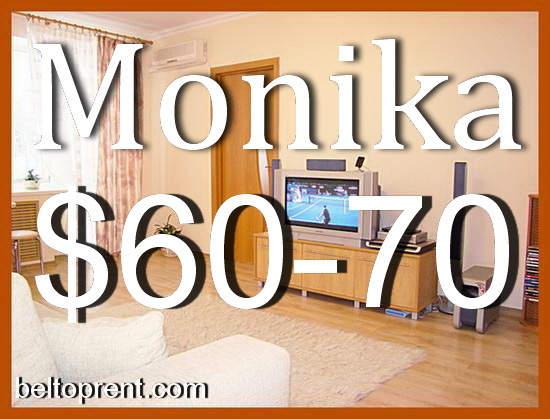 We can show you a very good Minsk apartment with prices from $100 to $250 a night on some websites that claim to be the best accommodation providers. The same apartment but the price is different. How come? This is the real estate business by Belorussians:) But in the eyes of The BelTopRent team, this is pure scam of tourists, who would like to visit Belarus. If you do not care to over pay $100-150 for just one night stay, that’s fine. But if you would like to save good money with your friends, than the best option for you is to contact apartment hotel BelTopRent. We can easly provide you with the best VIP apartment in Minsk for real, actual price. You will pay only for our apartments search and secured reservation service, which is worth it if you want have clear price for your apartment in Minsk.